Long ago it is said that two neighboring Native American tribes fought each other and continued for so long that no one knew what they were fighting for any more, yet still continued. As the years went by a woman picking cattails to make pillows with, heard the sound of yelling and loud screams coming from her band that was camped out by a lake’s edge. She hid in the cattails so long, she could not help herself to stay up any longer and fell asleep. Suddenly she was given a dream on how to make the circle strong as it once was long ago by both neighboring tribes. Then an eagle came and said, "I give of myself a plume that you must tie unto this which will help heal the peoples. At the sound of your strike I will come and carry the needed prayers of all peoples." Then a turtle came and spoke to her saying, “Your peoples will use the northern river that divides you. A nation of two will be as one nation once more." Then a bear came and spoke, "I carry the medicine in which to use and will show you of two medicines so your people will live". Then the bear showed her of two plants, sweet grass and sage. "With these two medicines, nations will form this hoop and heal together if respected and used in a good way." A beaver next came to her and said, "I am a builder of land and in water and with the knowledge I carry is for you to use." Then the beaver showed her three trees tied together like an arch. "With the left over material, which will be used for the tying, let it hang with the hoop tied unto it not touching the water." As quickly as the beaver left a thunder cloud appeared and said, "I am that which destroys and gives back new life." Then the cloud showed her two life sized male warrior figures all in their finest wear standing one on each side of a river. These warriors ran towards the hoop she was shown to make, and they hit it once only with these two branches. Each warrior holding a branch of their own to hit this hoop only once both fell to a lifeless body and a sound thunder was all around. In the nest of the thunderbeing, water was given to both and they no longer were lifeless. Then she was shown a little round stone in which was to be tied to this hoop. 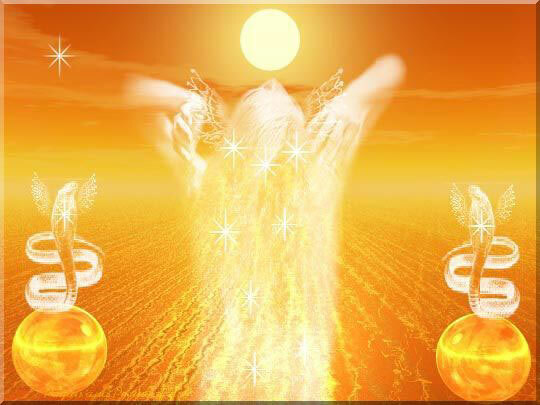 In her dream she was instructed to shared these given teachings by these spirits on how to use what she was shown. When she woke up from laying in the cattails marsh all was quiet and four days had passed. She went quickly back to her peoples and told of this dream to a holy man and others that were present. The holy man said, "It is of a good dream that must be acted out soon as possible." An announcer was sent in good terms with gifts to give, in hopes that the conflicting tribe would come as invited. As the days passed, the holy man sent out those picking herbs and assorted medicines needed. When the tribe arrived they were once more given gifts as a welcoming gesture. Now the leaders of both bands seated themselves inside the council teepee that was erected for this occasion. Then the holy men of this band sent a messenger calling out for this women that dreamed of this strange and mysterious hoop. When she came in they purified her with sage and sweet grass and sat her their in front of all to speak of her dream. After describing her dream a holy man stated, "This is what the dream means, the spirits you saw teaches us all that we need compassion and understanding. The trees that spoke to you, tell you of a hoop that must be made, and with it two branches carved in away that will be held in the hand and used to strike. The three trees they speak of will hold this hoop." "A deer you saw shows that it is both beautiful and graceful, at the same time gives of itself to make a sounding heartbeat. It tells of itself, that its hide is to be stretched over this hoop by the use of a trunk that comes from the trees. Therefore holding and keeping the circle strong as was and should be." be of good spirit. As a gift in carrying out this task, it gives permission to be worn by the dreamer as well and all women, for it is the women that has been and shared this dream to us men so we can all live as one nation as once more." "The turtle shows himself and is noted for having much wisdom. It comes to tell of which place has been chosen. A very wise choice, for the north is of the healing direction in which we must all be strong with courage and face our fears of humility. Only then will we be as humble enough to carry out this dream." help purify and cleanse the mind, body, spirit and heart of the peoples. Then we are to use sage to give strength back to the peoples in order to continue on in the hard days ahead." the thunderbeings rest upon. From here hangs down, not touching the water, the hoop of which will be hit only once." "The thunderbeings that destroy and give life back appear and show that which will be, when the hoop is hit. Those two warriors represent that of a warrior that we as a people must choose from each of our own side to hit the hoop to end all conflicts between us so the people may live." "This means that when they hit the hoop, they will pass on hopes that we as a people can revive back to be with us a nation once more. The dream teaches us that when it is completed the warriors fall and pass on. They should be then carried to a mystery purification lodge where they will live once more." "The mystery purification lodge represents that cradle, and in it is a bedding of cedar upon the ground floor to lay on. In here at the center are grandfathers whose heated steam will breathe back into these warriors, its life force so they may live." "That round stone shown represents that of a grandfather in the lodge whose wisdom goes as far back as time can tell. So it is a spirit made by that of all the tools that which gave life and now carries with it generations upon generations of many long ago stories. These stories, are the teachings of yesterday for today, that they may live in tomorrows generation still to come." With this the holy man finished interpreting the dream saying, "that all this is to take place in seven days time due to the number of spirits that showed." When concluded both the tribes then went seeking out to choose a brave warrior to represent each of their own tribe and start the building of this hoop. When the day came for this to all take place, each tribes brave warrior stood on each their separate river bank waiting for the signal to go and strike this hoop so the people may live. With a sign of the eagle high above where the clouds were darkening and thundering they received their signal with a loud thunder clap and sound of the eagle. Both these brave warriors ran as fast as they both could knowing what was going to happen. Upon reaching the hoop, they jumped and hit the hoop at the same time and now were both lying still in the river under the hoop. The tribes people then went and picked both these lifeless bodies up respectfully, and carried these now two brave warriors into the mystery purification lodge as instructed. Once inside the holy men of both the tribes sang their songs and voiced their prayers to all that which created life. As they continued with their songs and prayers, they poured water upon the heated grandfathers and hit this new hoop now known and called a drum as instructed to do. They continued for four days and nights with their songs and prayers, fasting all this time. On the fourth day soon to give up hope, the holy men could now hear the voices once more coming from the brave warriors. They came in a soft sounding voice that eventually turned louder and louder, for the brave men were now singing along inside with these holy men these songs. When all was complete, they emerged there in front of all the people to show that they can be as one nation once more. It is in this short story we learn, that due to a women’s strong heart to stand up and carry this message of rebuilding two conflicting nations through a dream, to both her tribe and of the neighboring tribe, peace can become a reality. 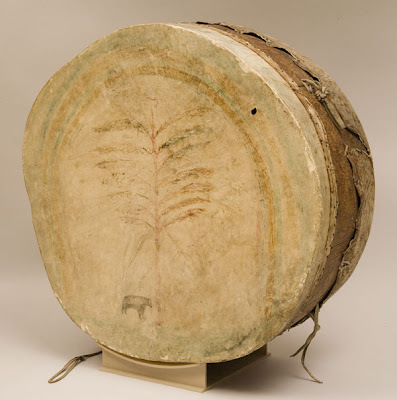 Note: This history of the drum in regards to Native Americans was shared many years ago. The source requested to remain anonymous as well as the tribe. The story comes from remembering a verbal sharing from many years ago, and it shared as accurately as the mind can recall. You're probably intimately familiar with that little concept called the "manifestation delay." The manifestation delay is the gap in time that occurs between asking the Universe for something and the Universe delivering. That delay is also when most people panic and decide that the Universe isn't going to deliver. So what can you do if you find yourself mashing that panic button repeatedly because you think the Universe isn't going to deliver what you really, really want? The first step is to take your finger off the panic button and take a deep breath. Next, have a little faith. "A little what?" you say. Faith. Herein lays the problem. A lot of people have difficulty with the word faith. Faith seems to imply sitting around, twiddling your thumbs, doing nothing, and hoping that the Universe is in a good mood and will deliver today. Faith makes some people feel powerless and at the mercy of some unknown higher force. Faith can even seem foolish because it asks you to believe in something that you can't see and hasn't yet happened. If you have difficulty having faith in the Universe's ability to deliver, try a different approach. Instead of leaving it all up to faith, what if you treated the whole process as an experiment? When you treat a situation as an experiment rather than a life-or-death affair, you give yourself permission to welcome any outcome. No matter what happens you win. But what do you win? You win valuable information. If you remain peaceful and calm during the whole process and the Universe fails to deliver, then you know that simply sitting back and letting the Universe work isn't a good approach for you. You can go right back to mashing that panic button as hard and fast as you want. On the other hand, if the Universe does deliver (and it will!) then you've learned something valuable about the manifestation process. The good news is that you can't get a bad outcome from this experiment. If treating your situation as an experiment allows you to relax and breathe, then you automatically give the Universe the room it needs to deliver what you want. You simply can't lose but you have to discover that for yourself. Most of all, enjoy, enjoy! Throughout history and during current times many paths and religions have various forms of blessing the dead, those who have passed from this plane of existence. Some of these blessings are strict rituals that follow certain protocols and steps. Various items will be deemed to be absolutely necessary. Some of the blessings are just verbal and can be very broad, not following any special guidelines. From the perspective that I see it, it should not matter what one does if they choose to bless the dead. This is a personal type of thing and any blessing is based upon intent and heart condition. Should one petition a God(s) or Goddess(es), these deities will know your intent and heart condition and will act accordingly. Many shun such talk of blessing the dead as it deals with death. Death is a certainty that we all must accept. Death is always moving closer and closer to each of us with every passing moment. It is reality. Talking about or focusing on death, such as in blessing for one who is deceased, actually will make the acceptance of death easier for those doing the blessing. It opens doors to the mind, heart and soul. The below blessing is very general and not focused on any specific path, tradition or religion. It is designed to bless all of the dead that may lay at rest in a specific location. As you read the blessing you will see how it can be used. Feel free to use this blessing as it is written, or use it as a guideline and create your own. To commune with the dead. Memories of lives I've never known. What stories could they tell me? What wisdom can they offer? Of those who've gone before us? And remember times that have gone before. You will never see another. The living only wait to join them. Will spin me back again. I will never know again. To join the living once again. That tell me I too lay here. We begin at a very young age to look into the world for what we need. But the world does not provide us with our love, peace and happiness. It can be a reflection of the love, peace and happiness. It can also be a reflection of our pain. As babies we learn that our parents are there to provide us with what is required. We cry and we are fed or changed or picked up. This is a lesson that we carry into all aspects of our lives – to look outside ourselves for what we need. We start to look for our love, happiness, and peace in the world around us. This is how our parents did it and this is what we learn from them. So we follow in their footsteps, looking for the things that will make us happy “out there”. When we don’t get what we want from the world outside us, we try to change the world so that we can get what we want and need. Eventually we see that this person or this house or this car is not giving us the happiness that we want. So we get another person, house or car. We want our parents, partner or children to love or approve of us and when they don’t we try harder to gain the love and approval. On and on it goes until we realize that there must be a better way. This better was is to look within ourselves and know the love and peace that is already in us and always has been. We've just never had anyone to teach us this. What we don’t always realize is that all the love, happiness and peace we need or want is right here inside us all the time. Why can’t we feel it? Because we are constantly looking elsewhere for it. When we don’t get it in the way we expect, it brings us feelings of anger, disappointment, hurt and fear. From this we take on beliefs like “I’m not good enough”, “I’m not lovable”, “I need approval”, “I am not worthy”. Beliefs such as these are the blocks that keep us from feeling the love inside ourselves. If we believe we are not worthy of being loved, how can we feel our own love? If we are not feeling loved by another person, that is the time to look within and see if we are feeling the love inside. If we are looking for someone else’s respect or approval, we must look within and see if we are respecting and approving of ourselves. Whatever we are looking for outside of ourselves is a good indication of what we need to look for within. It isn't another person’s responsibility to make us feel loved or respected. That is our responsibility. By looking at the beliefs that fuel these feelings of lack, we can shift them and begin to feel it within ourselves. We cannot change the world to what we think it should be so that we can be happy. We can change our own beliefs and recognize the love, happiness and peace that lies within us. We can live our lives from this place of peace and as we shift within ourselves we will see the world shift with us. This is where true peace will come from on a global level. This week, take a look at any time when you might be looking to someone or something else to provide you with love, respect or happiness. As you become aware of it, look within yourself and recognize where you might not be loving, respecting or feeling happy in you. Connect the feelings to the belief and see how the belief is untrue. Shift the belief and feel the peace and love within as you let go of the need for others to give you what you already have. teaches us to shed away the old to make way for the new. The following is a summary, from notes, of a conversation with an acquaintance of mine, from years ago, that is a Dark Pather...one who follows the dark side of spirituality. This is a "recall" of his description of why he does not openly discuss the Dark Path with others, and not a direct quote. No name is given for obvious reasons. I was asked one night about a topic that I don't readily discuss with anyone. What is the purpose of revealing the Dark to the masses? It took me back because there wasn't just one purpose to it but many which interweave together into a jumbled answer. The Presence of the Dark on this level of existence that we live in is very small. Naturally however The Dark tend to be the minority as we and the energy that we use isn't normally bound up in mass groupings in the effect that the Lights are. A few of us have been charged to bring forth the Dark in greater numbers to give a better position and ratio of Dark pathers to Lights. Charged to balance back the dwindling numbers of those who would actually seek to choose such a path. So there yes is the charge, however that is not my only reason. Any of the Dark that seek to do some work without gain are truly not of this path. There are perks that I seek to gain with this work that I do. I seek strong allies in my future that one day I might profit with from their help. I seek to be advantaged by knowing those with similar goals and we may find a mutual advantage in walking towards similar destinations. With this being said I would choose to show myself as a good ally. That my logic is sound and pragmatic and that my techniques are effective. I know that nothing comes from nothing, and I am not afraid of the work that must be done in order to appropriate my goals. I recognize there are many charlatans out there. That there are those that seek to dupe the few that travel towards the Dark Paths. There are those that would train weaklings in order to gain dominance over them. Though those of the weak that would be tricked into such a thing possibly are not strong enough to be walking the path at all, I see no advantage in weakening those that could be strong enough to do so and loose them from being of any use at all. This path isn't for everyone. Those that are not strong enough shall surely turn away from it or burn like the moth to the flame in trying. The Dark many times is not gentle I feel however for those born to it it is worth the price. Like many figures in mythology Hestia wears various faces. As Greek goddess of the hearth, family and household she is described as a peaceful, mild and charitable. She is said to portray domestic joy and the contented life. In our modern view she seems almost too perfect. One might assume her to be meek and subservient, those very traits the feminist movement has fought to overcome. But with deeper examination we find a calm strength for she is secure in herself. She does not give of her time and energy because of other's demands but because she truly wants to. As she carries out her tasks she reflects a quiet sense of celebration. Hestia lives in the present, each moment is precious to her. Having fleshed her out and given her life and breath in the former paragraph I must tell you that Hestia is the one goddess who was never depicted as a physical woman. Perhaps this is just as well, she would be so hard to emulate. How much more uplifting to envision her as the flame of life or a spirit of warmth and safety. I offer you a Hestia poem. is being prepared with a song. and ready for me to wear. For Hestia tends the fire. Hestia was considered the protector of orphans and lost children and who among us has not felt lost or orphaned at some time. See her as a comfort when your life seems too hectic and scattered. In a world that honors only outward achievements we so need her example of a tranquil inner life. Hestia reminds us of those beautiful moments that somehow draw us from our everyday busyness into a timeless experience of total awareness and appreciation. It might be found watching a child on a swing or while listening to music. Even a glance at the cat sleeping in a sunny window as we rush about getting ready for work can pull us out of the ordinary into quiet reverie. These occurrences cannot be forced. They are a gift; to accept requires only that we allow them in. The Hearth Encompasses Very Much Power! 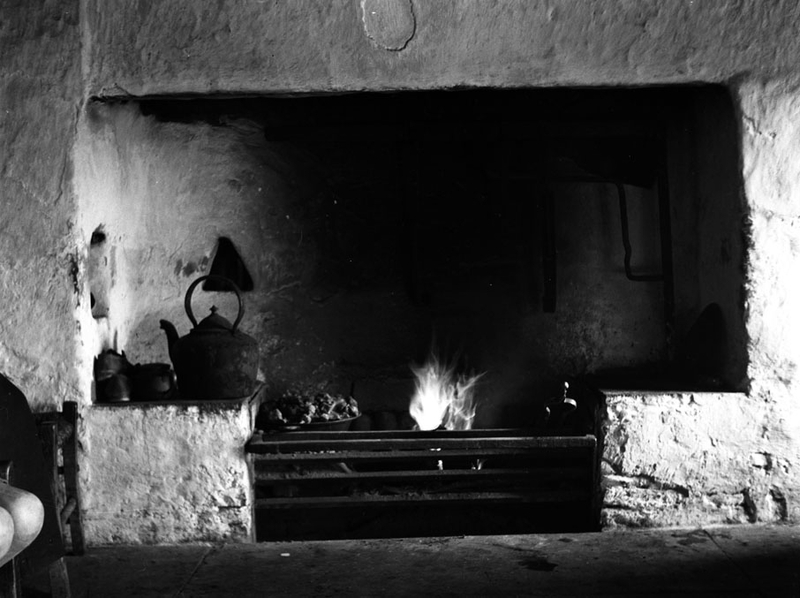 Before the days of central heating, the hearth was the center of the home. It was the protectant of life during cold months, the heat for cooking all meals and the gathering place of the household. Today fireplaces are rarities in new homes and apartments. The necessity of the past is fast becoming a present-day luxury. Fireplaces often increase house prices and are seldom used. In old homes, fireplaces are often in such poor shape they're nothing more than fire hazards. Fire holds a special attraction for many pagans. Fire was once supernatural, a divine substance stolen from the deities. It can be traced to early religious and magical rites around the world and flames are still found on altars of many modern world religions. Magically, fire is the element of transformation. Through fire, true magic occurs. Many pagans view it as an extension of the spark of life existing within all created things. It has both a destructive and a creative nature but change can only occur with the destruction of old and creation of new. The house fire was never allowed to die, except on ritual occasions. At night the coals were banked up so that new flames would spring from them in the morning. It was considered bad luck if the household fire extinguished itself and none of the neighbors would dare lend theirs. To do so was to give away your own household's luck and become unlucky yourself. A variation of this custom stated that if coals were lent and the coals went out while being transported that the families involved would experience hardship in the future. At night, the household would gather around the hearth. Stories, songs and genealogies would be exchanged. Clothing and tack mending were done by firelight while the workers listened to an elder telling stories of times past, preserving the family history and educating the young. The fireplace could be viewed as the heart of the house and an altar to the forces of nature that have shaped our world and with which we transform our lives. Upon moving to a new house, the conscientious pagan will often restore the fireplace to perfection. Bricks are scrubbed and all traces of smoke, soot, and wood chips are removed. If it is a wood stove, blacking is often applied to make it shine. The fireplace tools, considered guardians of fire, are polished and cleaned. Ashes are swept up and safely deposited. Never simply throw away ashes, as they are things of incredible power. on the chimney keep it secure and deflect lightning strikes. Pine needles will work similar magic. A lady's slipper orchid prevents others from casting spells against the home's inhabitants. Crossing the poker and tongs before the fireplace prevents sparks from popping onto the floor and cancels any negative energies that might float down through it. A jar of salt kept on the hearth can be used in times of danger or tension; throw a pinch on the flames and its cleansing powers, released by flames, will bless the house. According to tradition, fires must have at least thirteen sticks to burn properly. Looking directly at the fire while lighting it will hinder the fire's burning and bring bad luck into the house. A blazing fire is useful for simple transformative spells such as those involving the burning of dragons' blood, rosemary, or rose petals. These bring love to the spell maker. Nettles thrown in the fire negate fears and vervain dispels unrequited love. The type of wood used in the fire is also important. Oak is burned for healing magic when someone in the house is ill. It draws off the illness, aids in recovery, and guards the rest of the household from contracting the illness. Apple wood is burned in connection with love spells. Ash logs promote energy and pine brings money into the home. Elder, sacred to the Lady, brings curses and bad luck. The importance of fire in the home cannot be emphasized enough. One sign of a contented home is a cat sitting on the hearth. Some say no luck will bless the household until the chimney has been blackened with smoke. Sitting in front of the fire sipping hot cider and gazing into its flames and embers provides a direct connection with our ancestors and aligns us with other peoples of the past who viewed fire and religion as one. If you have a fireplace, use it for it is a tremendous boon. In many European countries one will find some kind of elf. The most commonly known are the German and English. Some of the countries they can be found in, but not limited to, are Holland, Japan, India, and Switzerland. Probably the easiest way to find an elf now is in the astral Faery land. While most don't wish ill will towards humans, like most fae they are distrustful of us. Some elves are malicious and enjoy pulling pranks and doing harm to humans. Many like the English elves are benevolent and will not harm humans and will often do helpful deeds. While their clothing changes from country to country one thing is usually the same. The clothing is simple and mostly earth colors to help them blend in with their woodland surroundings. Elves are psychic and may tell humans their future. They are caretakers of the forests and woodlands they live in. They are also healers of the wild animals. With this knowledge in mind, remember to petition the elves when you wish to extend healing and protection for those animals you care about in the wild. The same would be for the protection and healing of the Mother Earth as a whole. Again, we can petiton the elves to help heal the woodlands of the world and to give aid in healing sick or wounded animals. They may even be willing to impart psychic knowledge. If you wish to work with the elves you must be patient and develop trust with them. They must know that your intentions are good. Many times, the elves, like other spiritual beings, may seek you out. Always keep an open mind and heart in regards to the elves and learn to discern when they are reaching out to you. This can be done in medication as well as every day instances. Circumstance may bring you and one or more elves into harmony. It is my perception that elves, as well as other spiritual beings, "need" mortals to work with them to help create the energies needed for them to fulfill requests and petitions presented to them. You may note that I mention elves as spiritual beings. Many have visually seen elves, but many of us have not. By not seeing them physically does not mean they do not exist nor that we can not work with them on various levels. Learning to "listen" is a key attribute in working with the elves. The Archangel Gabriel governs the 4th Ray, the white ray, which rules the base of the spine chakra, also known as the root chakra. The qualities Gabriel can help us work through include purity, order, hope, joy, and discipline. He is recognized by at least three major religions...in Islam, he is said to be the angel to deliver to Koran to Mohamed. In the religious texts of Judaism he is mentioned. In Christianity, he is the angel who announced to Mary that she was to become the mother of the Christ. Archangel Gabriel is often seen with a trumpet, heralding to each soul the good news of the path of the ascension and ultimate union with God. He is often there when it is time for us to "go home", and he will assist us in balancing our karma and achieve that end - that is of course, if we as humans choose to listen. Gabriel is the archangel of annunciation, humanity, resurrection, heavenly mercy, vengeance, revelation, and truth. 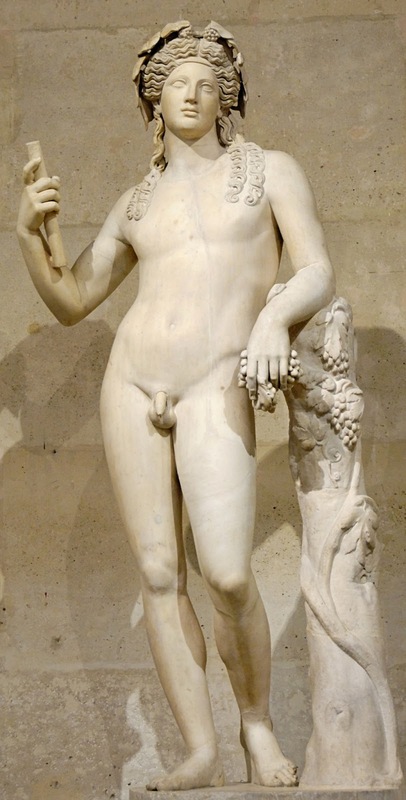 He is the patron saint of communications. The name Gabriel literally means "Man of God". Gabriel showed himself to Daniel in the Old Testament, announcing the prophecy of 70 weeks. He's also said to be the angel who buried Moses, and announced the birth of St. John the Baptist. Gabriel governs the West and the element of Water. Depending on which source you use, Gabriel governs Monday or Friday, but most sources I have researched specify Monday. He also governs psychic gifts, visions, clairvoyance, magic, scrying, astral travel, herbal medicine, female cycles, and the moon cycles. The stone for Gabriel is Moonstone, and he rules the month of January. Other elemental/metaphysical information about Archangel Gabriel is that he rules the sign of Cancer. His planetary color and metal is silver and his incense is Jasmine. Gabriel's flower is the Lily or the Convolvulus. The animals assigned to Gabriel include dog, crab, and the owl. Gabriel is described as having 140 wings, and is the governor of Eden and ruler of the Cherubim. He is said to sit on the left side of God, whose dwelling is believed to be residing in the 7th heaven, or sometimes the 10th heaven. It is interesting that the Archangel Gabriel is seen as both male or female, depending who you listen to. 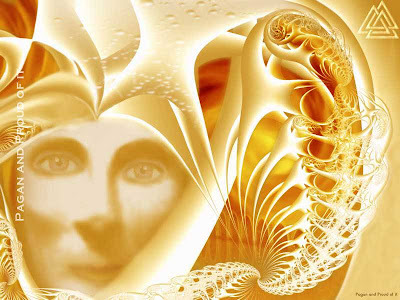 In Doreen Virtue's book, Archangels and Ascended Masters, she refers to Gabriel as female. I have seen pictures and artwork depicting Gabriel as both male and female. Doreen also credits Gabriel with being the angel to aid in adopting a child, fertility and conception.